The Mission of CE Medicus is to Provide Healthcare Professionals with Convenient Online Access to Quality Continuing Education Programming in a Personalized Setting. 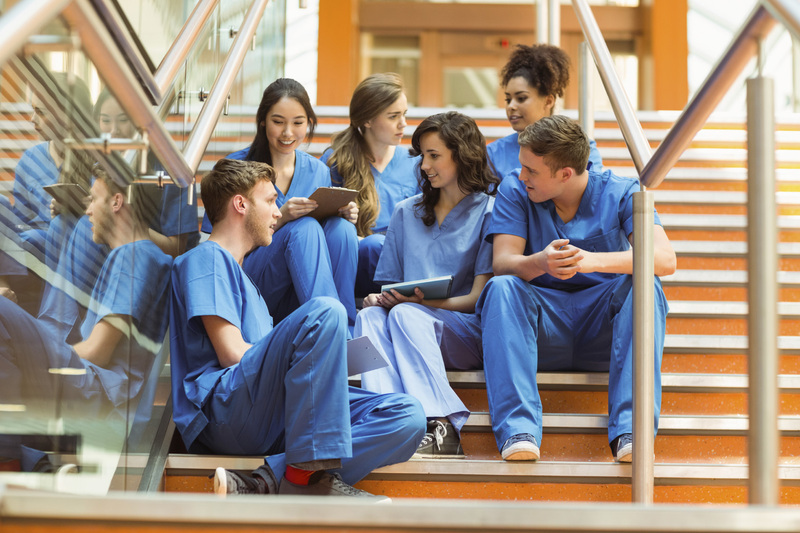 CE Medicus provides a secure, personal account through which healthcare professionals can access and complete activities for professional development. This system allows users to search for relevant content, maintain a personal curriculum, store continuing education credits from both online as well as offline activities, track and print a professional transcript and more. For more information, click here. Looking for online learning and education? WorldWideLearn’s directory can help you find online course and training options in your area of interest. Take a course for personal development, to pursue a hobby, train for a new career, brush up on your business skills or just for the heck of it! Numerous courses in a variety of topics are available online, allowing you to explore your area of interest at your own pace. For more information, click here. necessary to ensure cultural competence in practice, education, research, and administration. For more information, click here. It is the mission of the U.S. Department of Health & Human Services (HHS) to enhance and protect the health and well-being of all Americans. We fulfill that mission by providing for effective health and human services and fostering advances in medicine, public health, and social services. For more information, click here. Safety. Security. Service. Our highest priority is to protect the lives and interests of U.S. citizens overseas. We do this through routine and emergency services to Americans at our embassies and consulates around the world. We serve our fellow citizens during their most important moments – births, deaths, disasters, arrests, and medical emergencies. For more information, click here. The Wound, Ostomy and Continence Nurses Society™ (WOCN®) is a professional nursing society, which supports its members by promoting educational, clinical and research opportunities to advance the practice and guide the delivery of expert health care to individuals with wounds, ostomies and incontinence. For more information, click here. The National Board for Respiratory Care, Inc. (NBRC) is a voluntary health certifying board which was created in 1960 to evaluate the professional competence of respiratory therapists. A group of Chicago physicians and therapists recognized the need to formalize the training and registration of practitioners involved in the care and support of patients with respiratory disorders. Through the guidance of these individuals, the American Registry of Inhalation Therapists (ARIT) was incorporated as a not-for-profit corporation in the state of Illinois. This organization has responded to the growth of the profession through the years and has evolved as the current NBRC. For more information, click here. The Board of Registered Nursing protects and advocates for the health and safety of the public by ensuring the highest quality registered nurses in the state of California. For more information, click here. The California Board of Vocational Nursing and Psychiatric Technicians (Board) protects the consumer from unprofessional and unsafe licensed vocational nurses (LVNs) and psychiatric technicians (PTs). Public protection is the highest priority of the Board in exercising its licensing, regulatory and disciplinary functions. For more information, click here. U.S. Citizenship and Immigration Services (USCIS) is the government agency that oversees lawful immigration to the United States. USCIS is funded almost completely by the fees paid by individuals and organizations for immigration and naturalization services. The agency receives very little taxpayer money. In 1988, Congress created the Immigration Examinations Fee Account, establishing the authority to recover the full cost of immigration benefit processing. This account represents approximately 95 percent of USCIS’ fiscal year 2016 total budget authority. The remaining authority comes from other fee accounts and annual appropriations by Congress for the E-Verify program. For more information, click here. WHO began when our Constitution came into force on 7 April 1948 – a date we now celebrate every year as World Health Day. We are now more than 7000 people working in 150 country offices, in 6 regional offices and at our headquarters in Geneva. For more information, click here. The mandate of the Respiratory Care Board is to protect and serve the consumer by administering and enforcing the Respiratory Care Practice Act and its regulations in the interest of the safe practice of respiratory care. Licensed Respiratory Care Practitioners (RCPs) regularly perform critical lifesaving and life support procedures prescribed by physicians that directly affect major organs of the body. RCPs provide care directly to the patient in either a hospital setting or the patient’s home. Patients may be suffering from lung cancer, emphysema, asthma, or cystic fibrosis, or may be premature infants whose lungs have not yet fully developed. More than 34,000 RCP licenses have been issued in the State of California. For more information, click here. MyFreeCE courses are accepted in all 50 states! MyFreeCE has several continuing education provider approvals which allows us to offer our CE courses in all 50 states. Even though MyFreeCE does not have direct approval from some states they will accept our courses because they have reciprocal arrangements with other state boards. For more information, click here. A host of more than 50 nursing journals, Lippincott is committed to providing credible, current, authoritative, evidence-based resources to help you in your practice. Some of our leading nursing journals include AJN, American Journal of Nursing; Nursing2016; Nursing Management; The Nurse Practitioner: The American Journal of Primary Health Care; and Nursing2016 Critical Care. For more information, click here. We are a global company that provides information, software, and services. Our customers are legal, business, tax, accounting, finance, audit, risk, compliance, and healthcare professionals. For more information, click here.